Barrington Borough Council set aside time during tonight’s regularly scheduled meeting to present an employee service award to Joseph Eisenhardt, who will retire Sept. 1 after 32 years with the department. Also during the meeting, council is scheduled to authorize a redeveloper agreement regarding the former Harvey’s Cards property, waive late fees on pet licenses through June 30, authorize renewal of borough liquor licenses, set hours for the administrative offices and more, according to the agenda. In a separate matter, council also recently published revised dates for caucus and council meetings. All council caucuses and regular council meetings are open to the public. Caucus meetings take place at 6:30 p.m. in the mayor’s meeting room; council meetings take place at 6 p.m. in council chambers. Both are at borough hall. 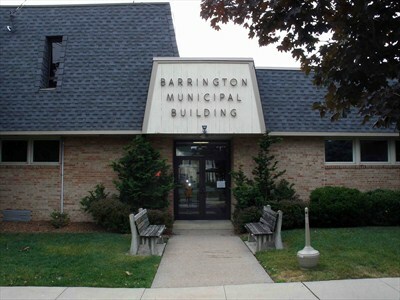 This entry was posted on June 11, 2013 by Barrington Bulletin in Borough Hall and tagged police chief, schedule.